Abraham and God: Partners in Crime? Browse: Home / Abraham and God: Partners in Crime? How trading and marketing belongs to the original characteristics of the Jews is demonstrated by a story in the 18th chapter of the first book of Moses, which indeed would make a comic impression if, for the rest, the Jewish character were not such a sad fact of humanity. That story is indeed a contract which Abraham himself concludes wit the Lord God. The latter wishes to punish and destroy the city of Sodom on account of its heinous sinfulness. 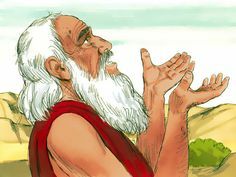 Abraham makes objections to Him and thinks that the Lord would be a better judge if he came across 50 just people in the city for whose sake He would preserve the city, so that innocent people would not have to suffer. After Abraham in the interest of these supposed 50 just people, has the approval of the Lord, he comes forth with a smaller offer. He has miscalculated; the Lord would perhaps find only 45 just people. Correctly the Lord too lets the five be taken off but Abraham has now one finger, and now follow the others, and finally the entire hand is claimed. The next price of preservation is 40 just people, therefore again five less. Then the trade goes down in levels from 30 to 20 to ten and the Lord settles with Abraham after He has agreed with him that the probable finding of ten just people should suffice to preserve the city. If the patriarch did not provoke any displeasure in his own God with with a regular knocking down of the price from 50 to 10, but indeed succeeded with Him, this proves the views which the Jewish God entertains with regard to such tendencies.